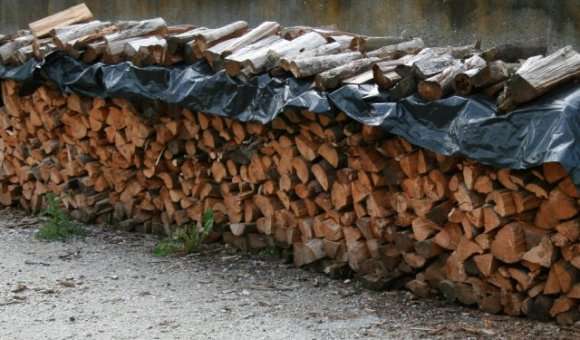 Our firewood or heating wood comes from our forests near Arpajon-sur-Cère, close to Aurillac. It is mainly composed of oak or beeches. These are hardwood species of the best quality for wood heating. Indeed their use offers the best heat quality and their combustion is slow and regular. Our firewood is delivered according to the quantity measured in steres, which is 1m3 of one meter long wood. We do not deliver by weight because its weight varies with its humidity rate. Indeed, recently cut wood weighs more than dry wood. It has a humidity rate between 40% and 50%, that means that its total weight comes from between 40% and 50% of the water which is contained inside. Wood is considered dry when its humidity rate is less than 20%. A partially dry wood, but still offering a correct return must not have a humidity rate above 35%. Hard woods once well dry offer the best heat capacities for the firewood with slow and regular combustion. The heat capacity of these hard woods by stere is around 1900KWh to 2000KWh. Our firewood is first cut in our forests, and then brought together to be stored in the open air. This operation allows it to dry partially but this is not sufficient to ensure a good drying quality. Either in our shelters, away from water but always well aired. Either piled outside to be always well aired but protected with a plastic cover on the top, and open on the sides. The drying time of our firewood is at least one year. Once our firewood bought, it must be stored in good conditions to make sure its humidity rate does not increase. It is best to place the firewood under shelter or protected with a sheet.